[/vc_column_text][/vc_column][/vc_row][vc_row][vc_column][vc_column_text]NPR’s “Fresh Air” with Terry Gross is one place where I consistently find spiritually challenging conversations and interviews. 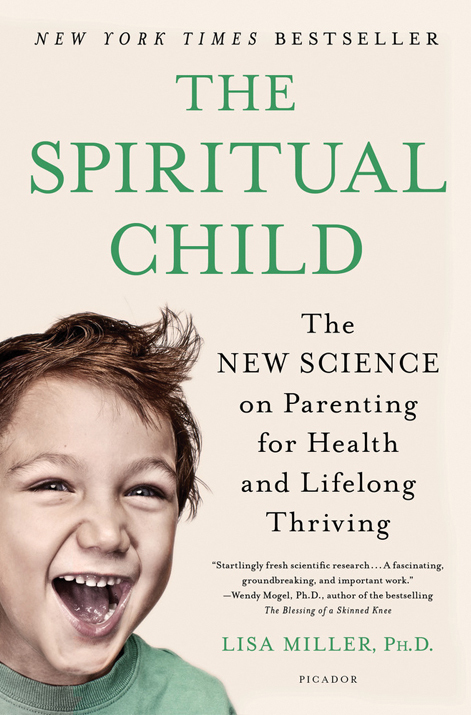 Last fall I heard an interview with Lisa Miller, professor of psychology and education at Columbia University, about her book, The Spiritual Child: The New Science on Parenting for Health and Lifelong Thriving. Her basic argument is that the most recent brain science demonstrates a child’s inbuilt capacity for spirituality. A spiritually developed child has strong behavior patterns that help against depression, chemical abuse, and risky behavior. After hearing the interview, I had to buy this book and could hardly put it down. Miller is not religiously affiliated—which actually makes her findings even more compelling to me as a pastor. What we have in the church, the world (especially children) really needs. Miller claims that an absence of support for spirituality in our children contributes to emotional suffering and risky behaviors. She argues that spiritual development provides protective health benefits. “In the spiritually attuned person we see flourishing, healthy, thick portions of the brain right where, in the case of depression, for instance, we would have expected to see the thinner brain” (p. 37). This spiritually attuned brain regulates cortisol levels better, lowers rates of depression, and helps control risky behavior like sexually transmitted diseases. Our current culture, Miller asserts, presents parents with unique challenges: they don’t see themselves involved with their children spiritually, it’s an off-limit topic of discussion, it’s not important to the parent personally, there is not enough scientific back-up, and they feel unqualified. Childhood today is increasingly competitive and driven by accomplishments and achievements with an endless search for the “right” choice, school, toy, etc. In chapters 2–4 Miller gets into the harder science (not my skill set) of spirituality, where she makes a strong argument for vital children’s ministry programs staffed by healthy adults of multiple ages. But the first role of spiritual development is in the lap of the parent(s). Miller advocates for families to create “fields of love” by becoming intentional with language, focusing on abundance and “enoughness,” accepting all persons, learning how to repair relationships with apologies and restitution, and emphasizing appreciation over cynicism. Each chapter includes lists of best practices for parents. Why should Christians read this book? Because it makes a strong argument for the multigenerational church to be the best gift to parents who want healthy children. We are the community that tolerates (welcomes) the messiness of family life. We are the community based on love and grace, not achievement or success. We are the community that loves over the long haul, not the short-term.